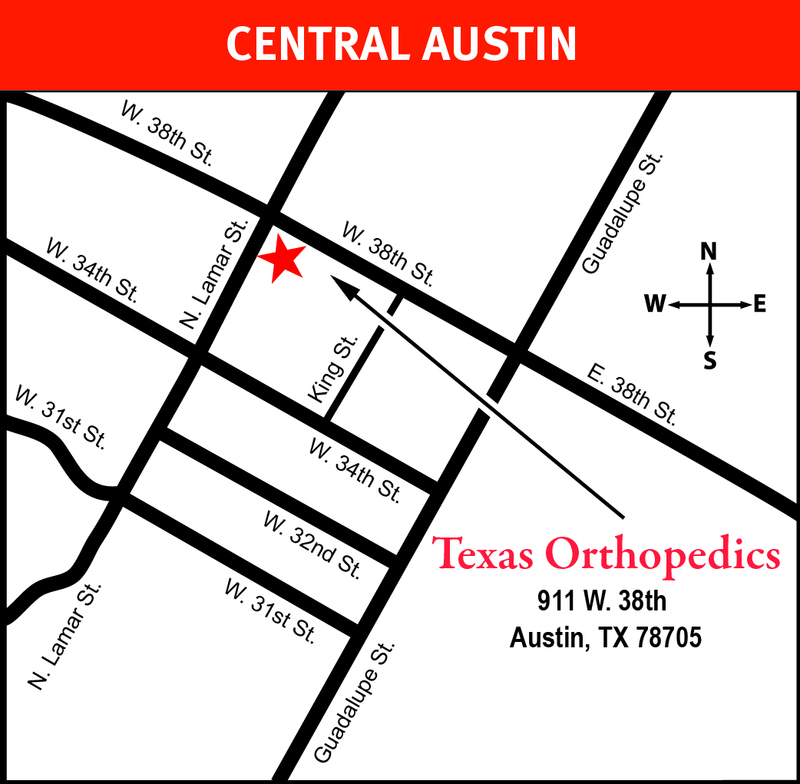 Our Central Austin Office Has Moved! We are pleased to announce the relocation of our Central Austin office on Tuesday, May 7th to the new Midtown Medical II building at the intersection of 38th Street and Lamar. This location will replace our 34th Street office. 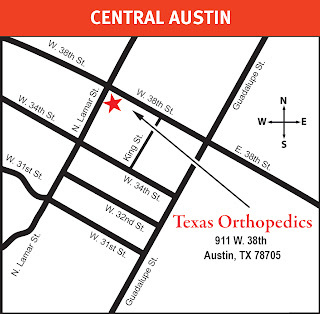 The new office address is 911 West 38th Street, Suite 300, Austin, TX 78705. Parking is available in an attached parking garage with direct access to the clinic from the third floor of the parking garage. In addition to clinic services, our physical therapy department is also expanding and moving to the new location. Make an appointment online or call us at (512) 439-1001. Anatomic differences between male and female knees have resulted in the creation and regular use of gender-specific implants. However, a new study presented at the 2013 Annual Meeting of the American Academy of Orthopaedic Surgeons (AAOS) finds that a specialized prosthesis may not improve overall outcomes in female total knee replacement (TKR) patients. Female implants are narrower, with an atypical angle and a thinner anterior flange (front rim), reflecting the unique characteristics of the female knee. These knee components are used frequently in TKR procedures in women, who represent 60 percent of all TKR patients. In the study, researchers evaluated 1957 TKRs between 2006 and 2010 in women with 1515 (77.4 percent) utilizing female specific implants, compared to 771 TKRs from 2002 to 2006 prior to the availability of the gender component. Radiographs were reviewed for component fit, and clinical outcomes. While there was less overhang of the knee implant with use of the female-specific prosthesis, improvements in patient knee range of motion, knee flexion (how far you can bend your knee), lateral release rates (reflecting kneecap movement), and pain scores were comparable in each of the two groups. Dr. Christopher Danney is our Doctor of the Week. Watch the video to learn more about Dr. Danney! Dr. Kenneth Bunch is our Doctor of the Week! Watch the video to learn more about Dr. Bunch.